#1 Happy Moment of Summer Break: Refilling my Kindle with books to read! I always check out the FREE books over on Amazon. It's using the sort bar on the left, and then changing it to Price: Low to High. There are always tons of free ones that I haven't yet read. 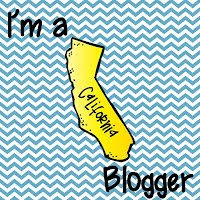 #2 - Catching Up on BlogLovin and Blogger Reading List. It's so sad. 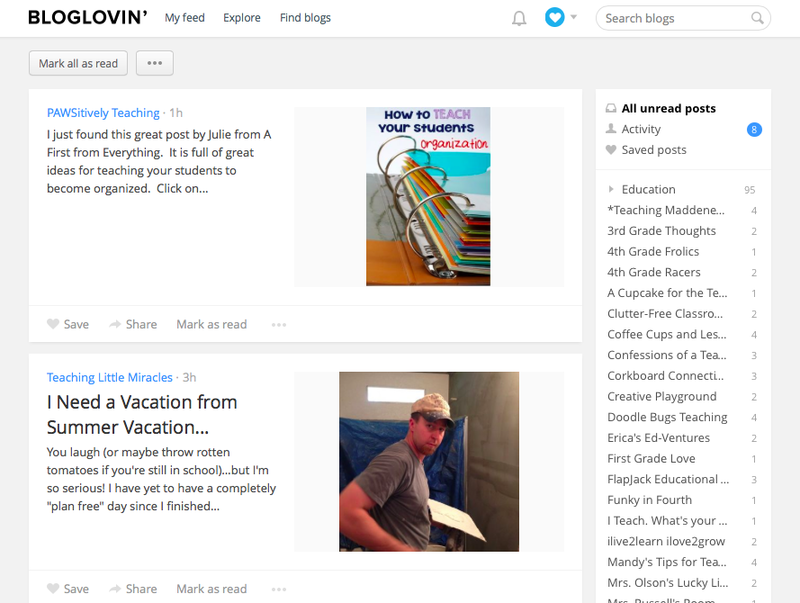 I love to blog, but haven't been able to sit for long to actually read my people for extended times. It's been a happy day around here, combine with that I was still in my PJs until 15 minutes ago (it's 2:20pm). Hubby and I have started rewatching Alias. LOVE that show and it's been a while since we went through it. 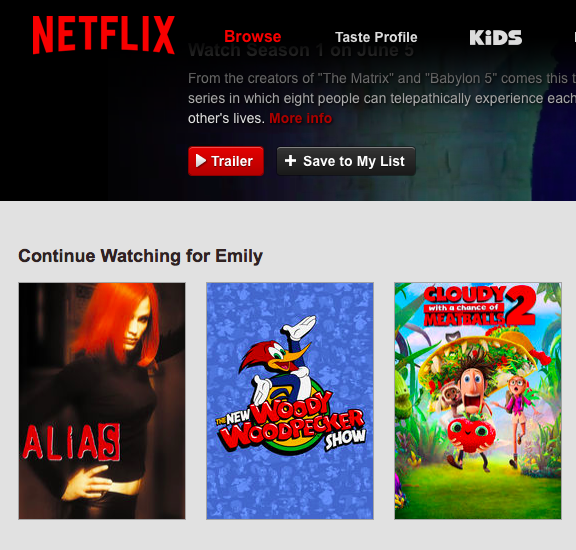 We started watching it when we were engaged way back when... even had a red fish named Sydney at one time. It's going to be a good summer! I do have a tons of projects I want to complete both on the home and school fronts, but at least I feel the house is back to being decent after the hectic week. I look forward to sharing them over here. There is time for everything else. It's Summer! Hope you are having a fabulous day! Today was the last day of school. The day that I had to say goodbye to another great group of kids. What a year it has been. They were so sweet! Here was the last view of my room today. I'm officially locked out of it until August. We get an extra rolling cart for summer storage, it helps to have a place to hold the textbooks and all the odds and ends. 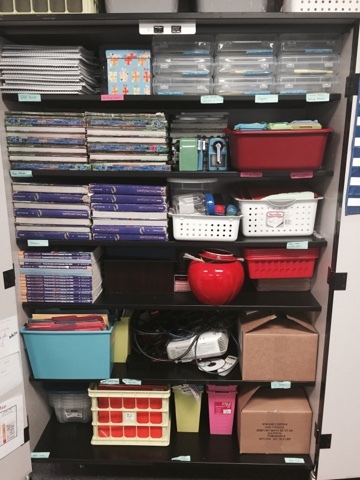 This picture will help remind me that my pencil boxes are partly filled for next year, that my Whole Class Writing Journals (top left) are already glued, that I have my classroom folders and homework folders ready to go. It also reminds me that I need to reprint some of the Partner Plays (from Deb Hanson) that I store in that blue box on the second bottom shelf. This is my cart that during the school year keeps all my Teachers Editions. 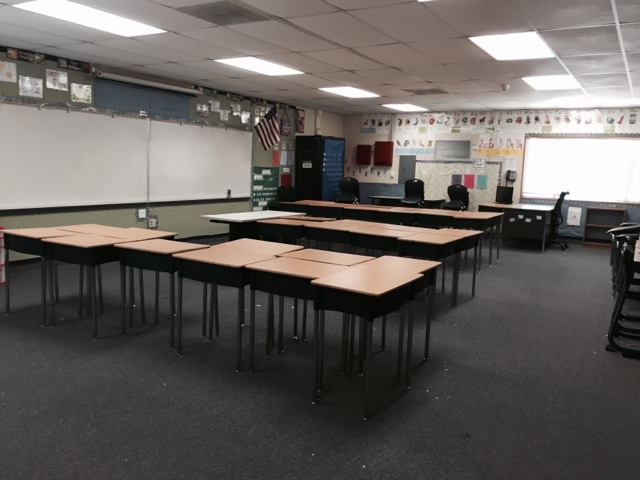 This summer though it also has all my teacher stuff from my technology cart and whiteboard. Those crates on the bottom remind me that I have to order more free EII units this summer, and that I need to make some signs for my read aloud crates (second from bottom shelf). 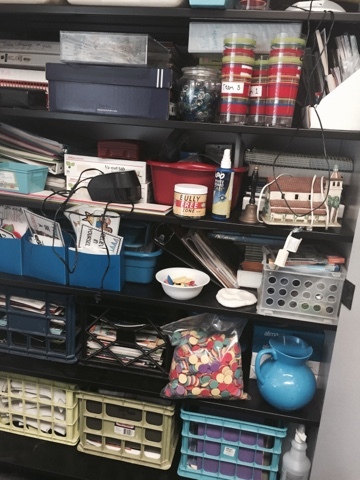 This cupboard holds all my materials for each subject in each of those tubs. The ones on top hold my paper products (napkins, plastic spoons, paper plates, bowls, etc). 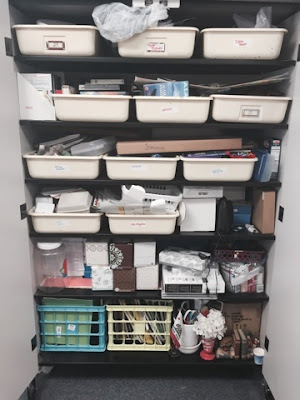 Then I have a tub for each Reading (Stories Visuals), Science, SS, Art projects, Index Cards, and movies (separated out by ones that we watch for curriculum vs. the rainy day recess options). The crates on the bottom are paper needs - folders, etc. I have all my desk stuff tucked in the random openings as well since everything is cleaned off for summer. 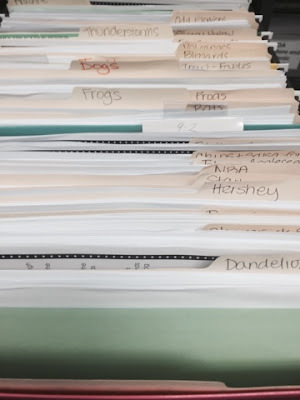 This reminds me that I need to restock my index cards this summer, and that I already have a tons of binder paper, copy paper, and kleenex to start the year. 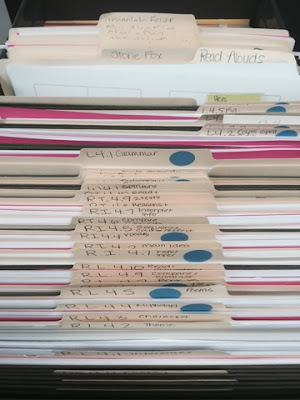 Now I also took pictures of a few of my file cabinet drawers. Most of my copies for next year are already prepped. 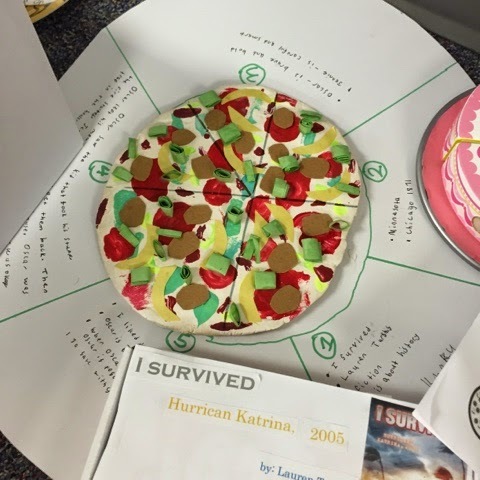 This top picture reminds me that I have my ELA assessment copies all ready to go, and that I have already prepped the assessments for my read alouds. I also have my weekly comprehension stories ready to go. This final one reminds me that my Math Quick Checks are all printed off. Do you take pictures in your room before you leave for summer? It is so handy! I wanted to do a shout out about the FREE Candy Awards that Reagan Tunstall has shared over on TPT. Awesome stuff! I didn't print these out for kids though, they will have another gift, these are for my teacher buddies at school. Who exactly? The secretaries, custodians, admin, teammates, librarian, ELD teacher, etc... and for my boys' teachers and paras as well. This time of year I have a very limited color ink situation going on... so I saved ink by printing 6 per page. 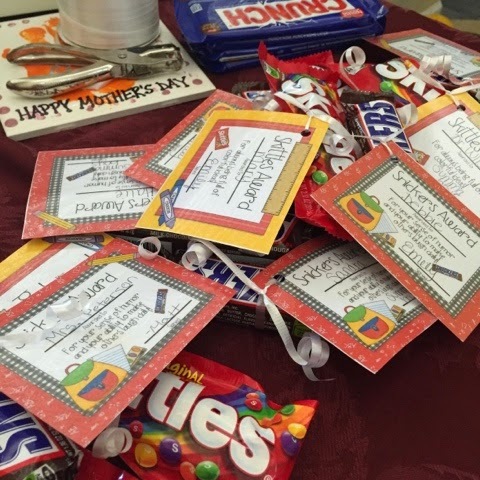 I filled them out, laminated them, hole punched, and then used ribbon to attach to the candy. The ones I used for teachers were Snickers, Skittles, Bubble Gum, and Crunch. 1. Color one paper. Leave the other plain. 2. Take the plain paper and cut even strips in one direction across almost the entire length of the paper (leaving about an inch from the top). 3. 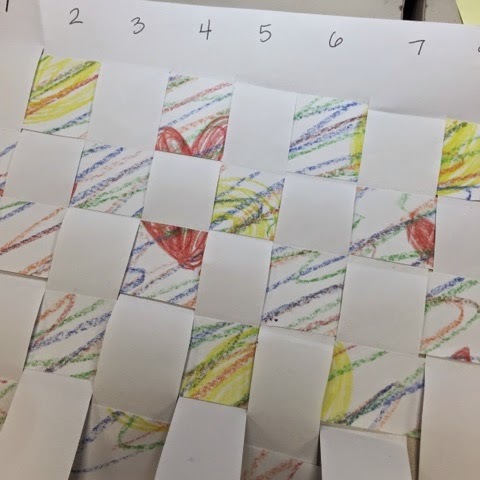 On the connected strip, number each strip 1 - however many strips they cut. 4. Take the colored paper and cut horizontal strips across the length of the paper. These strips need to be saved. 1. 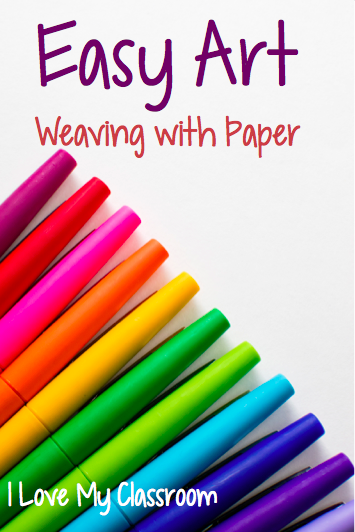 Fold up the odd strips from the plain paper, press down to make it flat. Students should not see any odd numbers. 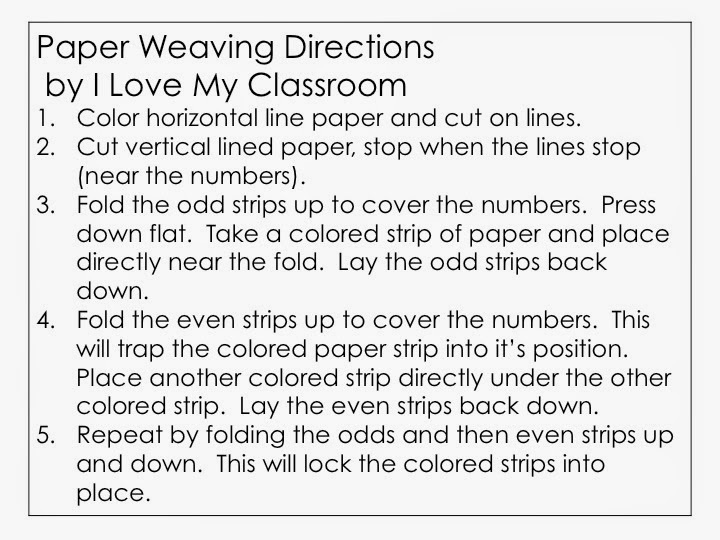 Lay a colored strip down over the remaining even strips. 2. 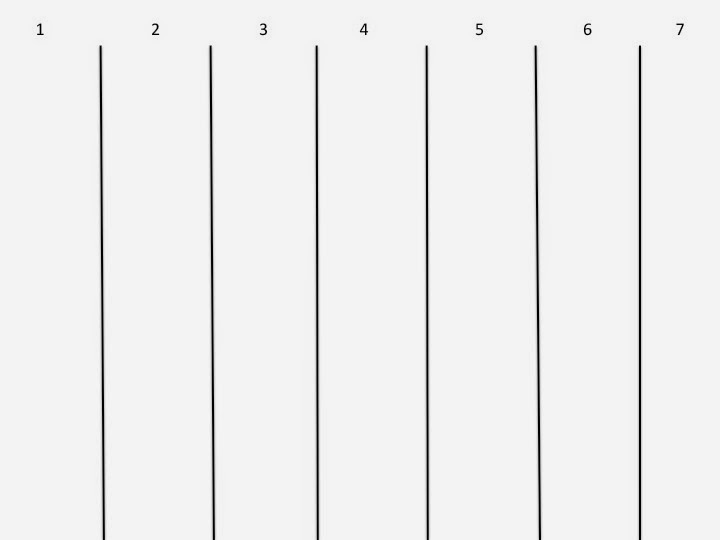 Lay the odd strips back down to see all the numbers at the top of the page. 3. 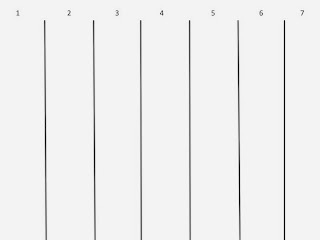 Fold up the even numbers and press down to only see the remaining odd numbers. 4. 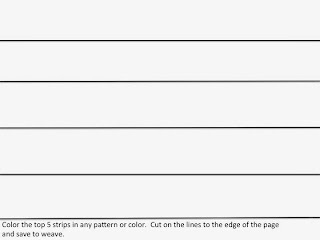 Place another colored strip across the page horizontally. 5. 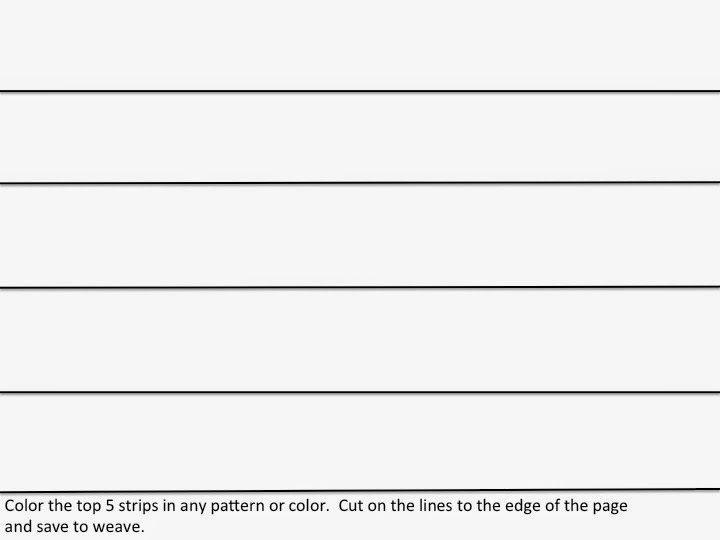 Lay the even strips back down, and then repeat the directions. 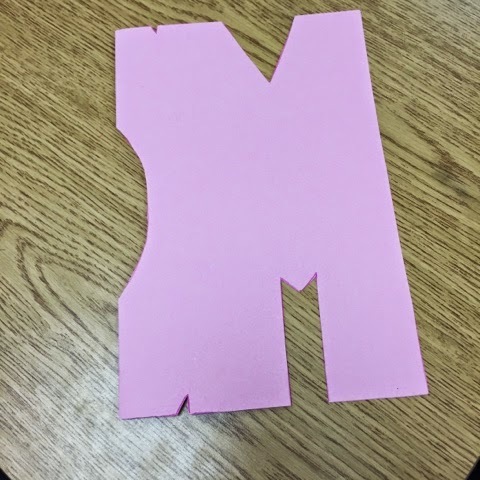 When done - take a piece of construction paper and add a lot of glue to the top of the paper. Slide the woven paper on top of the construction paper and press down. The end! If it's a little difficult to understand then use the freebie I have below. Here it is over on Google Docs. Hope it helps! The past couple of weeks have flown by. My school life and home life have meshed, and it's been absolutely nuts (love it, but still nuts). My "baby" just graduated PreK, my oldest was presenting his class play, and my in laws were visiting to celebrate my middle's upcoming bday - all last Friday. 3 1/2 days this week until summer. Every year I do a send off to 5th grade - the Final Four Days in Fourth Grade. It's a big deal for myself and for the kids. I make it all fun, and I switch up what we do. Here's the plan for the rest of this week. The basic premise is to use all the different mediums possible. 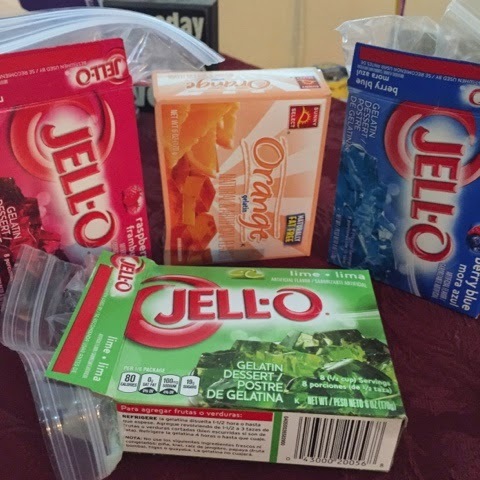 We will be painting with Jello in the morning, creating Father's Day cards using Oil Pastels, melting crayons with hair dryers to make some crayon art, and making collages with our extra scrap paper. In between the big activities we will also be finishing up our State Symbol booklets with guided draws. I LOVE Art Day! 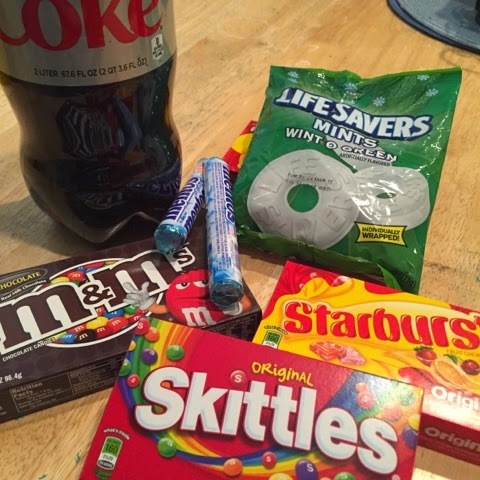 Science Experiment Day involves a bunch of candy. Yep, CANDY! It's a kid's dream day. I picked up this freebie from Stay and Play last year, and it worked perfectly. Most involved just water and basic materials. They were simple enough that I had the confidence to tackle these in groups, pairs, and whole class. We complete a simple Scientific Method as we go through these together. I also complete this Mad Scientist Craftivity and the grand finale is Mentos and Diet Coke. My dear wonderful husband comes and is the official Mentos dropper as the kids & I stand far away. :) Good times! By Thursday I absolutely have to finish packing up the classroom and completing my check out sheet, so it's a lot of multi-tasking on my part. The kids are invited to bring in board games from home, and between giving time to work in groups to play them, we also play some of our favorite class games (Silent Ball, 4 Corners, Heads Up 7 Up, Around the World, etc). The last day of school goes by so quickly with it being a minimum day. 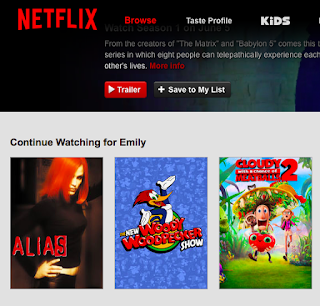 I let the kids bring in G rated movies from home, and then as a class we vote on what to watch. 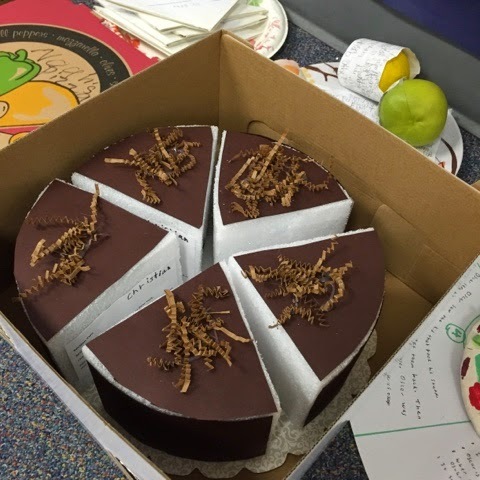 How do you celebrate the end of school? Please share! 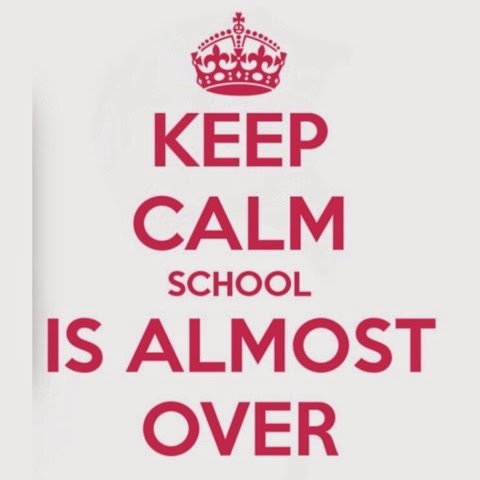 The last 3 weeks of school are always hard since we are done with our math curriculum. I mean, we have to have covered almost everything by testing. In our old math book, we had unit tests that we used to review - but this time around we don't have the option. 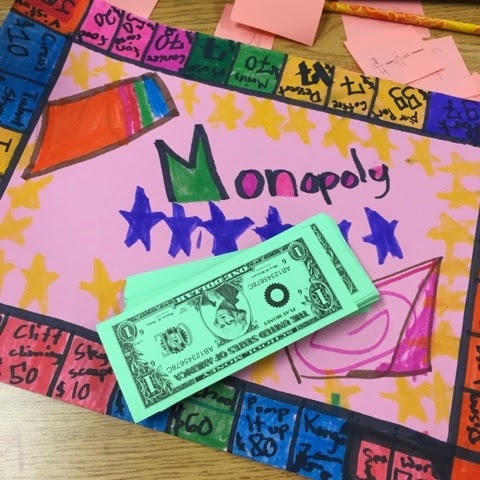 Every year my class has the discussion of different games - Monopoly, Chutes and Ladders, Connect 4, etc... From there they get into groups and design a board game that can work with many different cards and situations. After they designed the boards, the kids created specific questions on 20 index cards for the review of the day. 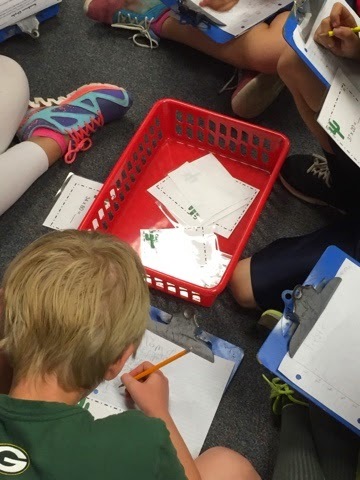 One day was all about Place Value and Rounding, another was on MultiDigit Multiplication, one on Long Division, and another on Fractions. Next week we still have more review with measurement, line plots, etc.. 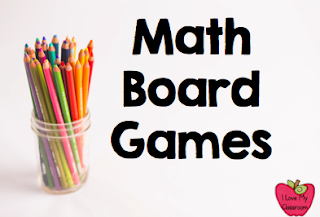 The kids get so excited to use their board games every day. 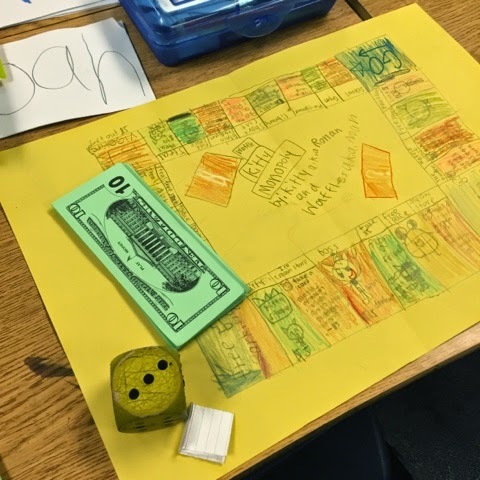 They have full rein of using the colored counters for keeping track of their spaces. 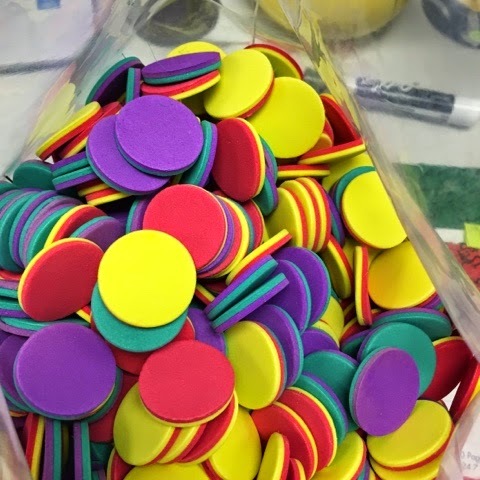 I also let them decide if they wanted to use money, dice, or spinners in their games. They are being responsible with keeping everything organized. 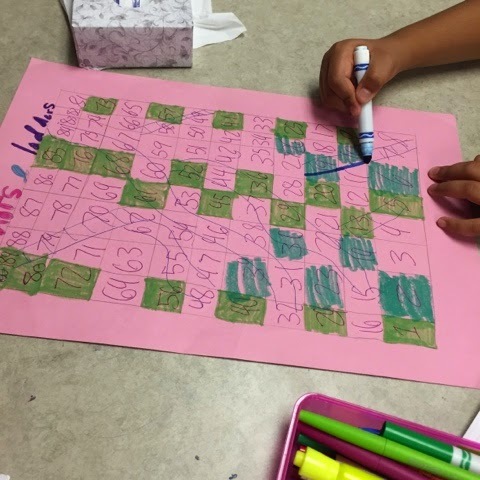 Do you have your kids create board games? I highly recommend it! 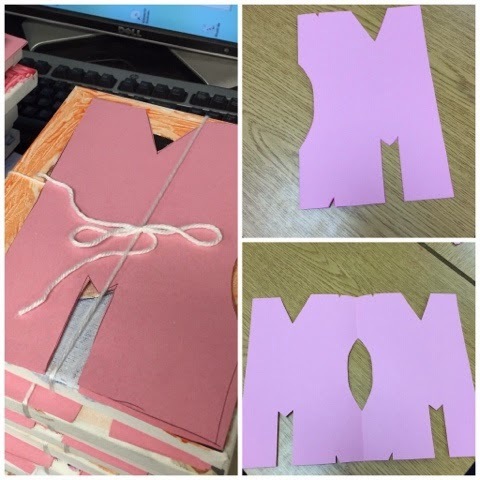 I know I'm running late, but wanted to show off our Mother's Day cards and gifts. 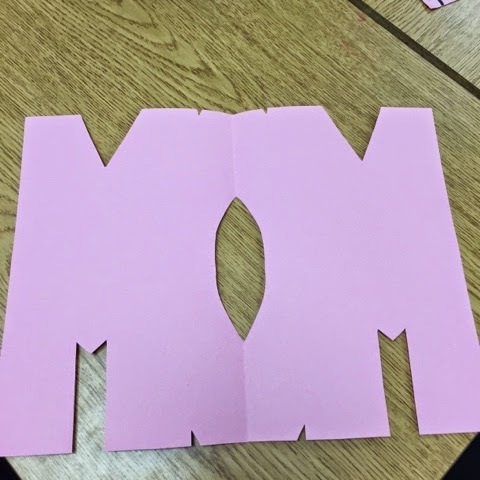 My teaching neighbor had a great idea for a Mother's Day card... which tied in perfectly with the symmetry we were reviewing that day. For our actual gift, the kids took their canvas self portraits and I wrapped them with yarn, and then we added their MOM card to them. 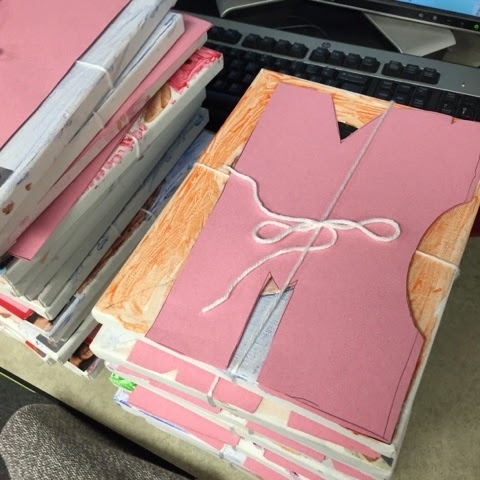 The pink paper was 12 x 18 folded in half, then they used a file folder template of the above design to trace onto half of the paper, making sure to line it up with the fold. What did you do for Mother's Day? This year I wanted to switch things up a little for our last Book Report of the year. 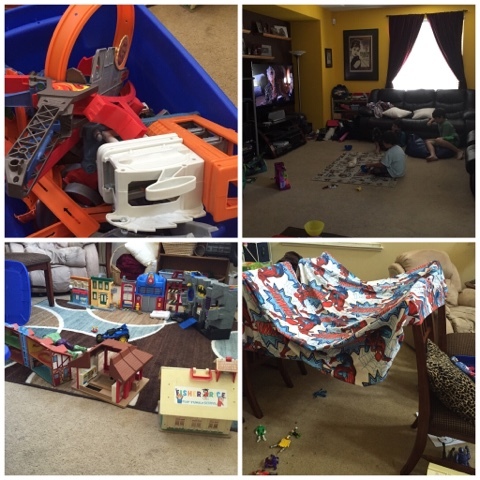 The kids LOVED this project, and their families were so creative. Last year I picked up this bundle from The Peanut Gallery. In the fall I had my students create the CD's for our Tunes Store, this time around it was the Book Buffet. 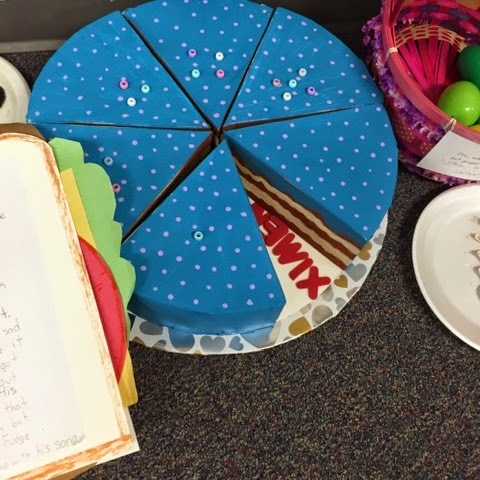 The kids had to answer specific questions on their book - there were certain sections, and each section had to be "hidden" under bites of food. We had many pizzas too, and quesidillas, sandwiches, scrambled eggs and bacon...! All in all they did a wonderful job. 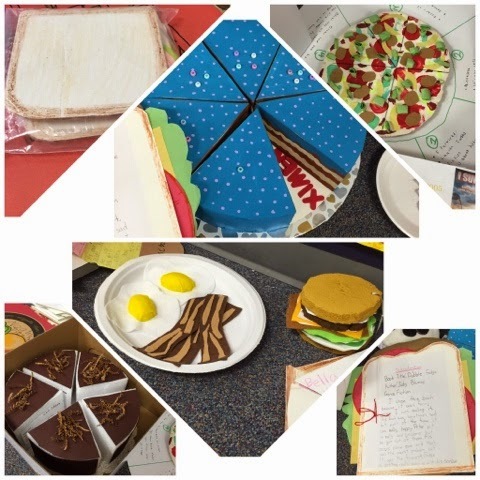 Since Open House had a food theme, these were spread around the room for families to admire. I will definitely be doing this again next year. Check it out! What book reports are your favorites to do? This year I did things a little different on May 5th. 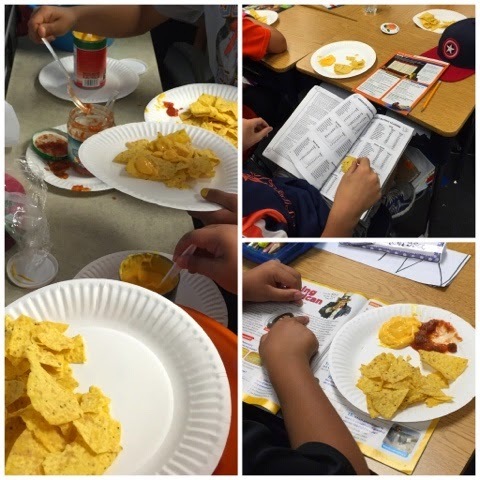 I brought in chips and salsa/cheese sauce for kids to snack on during silent reading time. They did such a good job making sure to keep things clean. 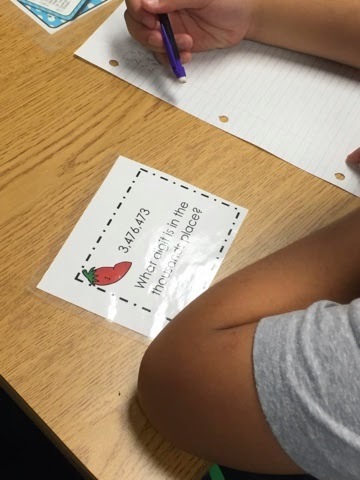 We also used my Fiesta centers in class during workshop time. 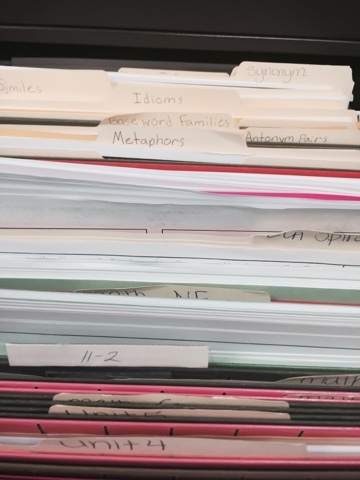 It's a mix of ELA and Math Review, so it was the perfect time of year to use them. How do you celebrate Cinco de Mayo? 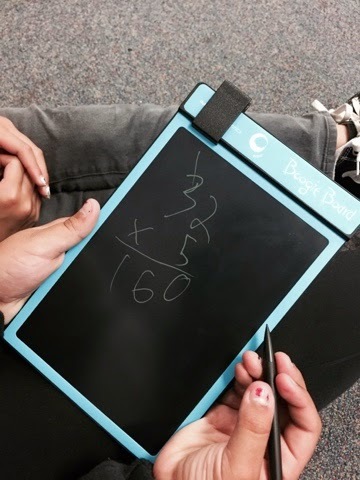 Our Donor's Choose Boogie Boards were funded! Yes! 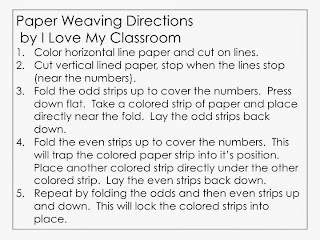 We have 5 of them now in our classroom and it's made it extra fun to use during workshop time. My Amazon order of glue sticks and Expo markers showed up tonight for next year. I'll be keeping these at home over the summer - things don't tend to dry out as fast... 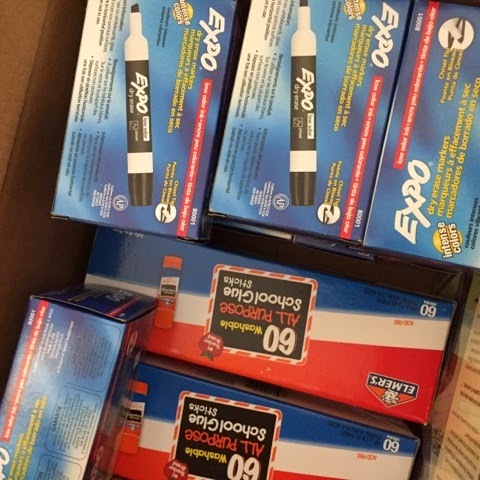 These 12 packs of Expo markers were only a little over $4 each, they were as an add on price. We have been studying Greek Mythology in class this week (and will continue next). It's the first year that Mythology has been in our standards, so I'm trying to make it fun. I have the Year Long Weekly Reading Homework from Forkin4th and she has numerous Greek Mythology comprehension passages and questions included. Since I have no curriculum it has been a life saver. 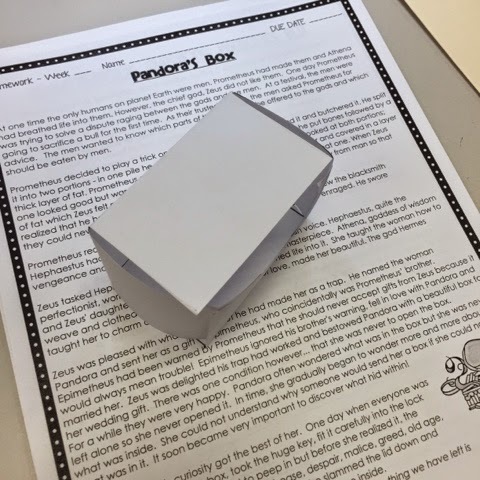 Today was Pandora's box, and after studying it, we tied in math and created boxes/nets from scratch. 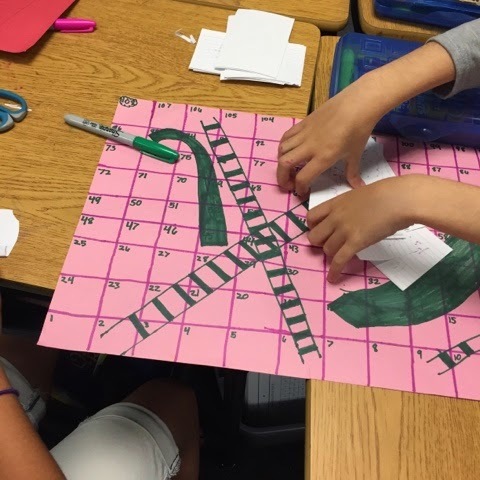 Students had to fold, use the ruler to measure, cut it out, and fold it all together. So much fun! 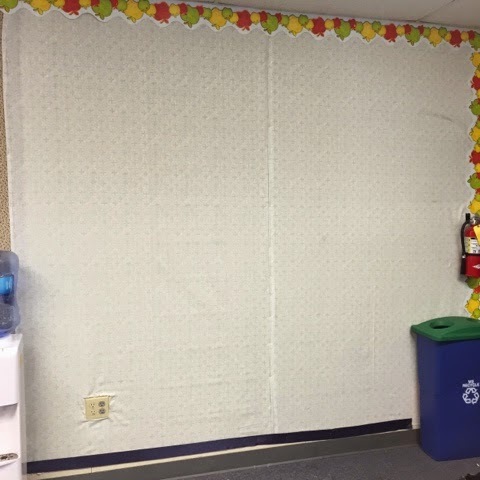 In all this craziness, I started taking down the stuff on my bulletin boards and saw a bunch of huge stains on my main student work fabric. EWW! So after years of using my beautiful blue fabric I had to go out and buy new stuff... and then decided to put it up pronto. Now it has a lighter color backing with a nice design that will make me happy. In August I'll add my student squares and be done. I love using fabric! It's so easy! 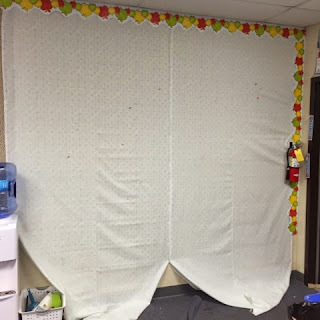 How I tackle a huge board like this (it's 9 feet by 10 feet), is taking the fabric, cutting it in half and use push pins to hold it in place on the top and sides until I get everything the way I want. Then it's a quick staple on top of the edges, add a thick border to just the top and sides, cut the bottom, and add my thick wide ribbon to seal it up. I'm not even really worried about the bottom edge because the trashcans, ball bucket, lunch bin, and sweeper bucket all fit in that space. It's that time of year! 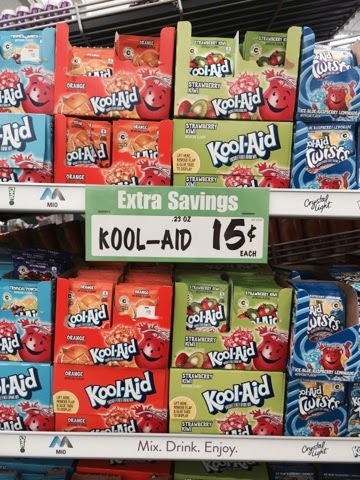 Have a Kool Summer! Winco carried the packets for only 15 cents each... so much cheaper for a full class set. This year I am giving the kids a package of Kool Aid, a copy of Homework Machine (only $1 from Scholastic - we don't have time to read it during the year so I already had it handy), and a "Have a Good Summer" bracelet from Scholastic's bonus points. It all goes inside a paper lunch bag with a topper on top.